Monza is upon us this weekend, and I for one am very happy about this. So are lots of other people associated with the sport. Why is this? From certain perspectives it may not be obvious. 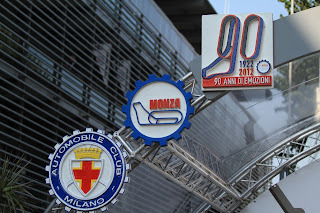 After all, Monza lacks the gleaming modernity or the seamless organisation of many of the modern venues on the F1 calendar. The place has never entirely shaken its vague feeling of ill-disguised mild chaos. Its layout isn't all that much a driving challenge, being as it made up essentially of straights separated by chicanes. It hasn't always produced enthralling races in recent times either. And as Lewis Hamilton might tell you, the locals aren't necessarily that welcoming. Well, in spite of this there are rather a lot of reasons to conclude that Monza is very special indeed. It's because its heritage is unparalleled: racing cars have been witnessed in wheel-to-wheel combat at Monza going all the way back to 1922, and the layout, other than the addition of chicanes and the coming and going of a fearsome banking section, has for the most part remained untouched in that time. It's because only in one season, 1980, has Monza not featured on an F1 calendar - no other track, not even Monaco, can boast close to that level of ubiquity. It's because the venue has been the scene of the most astonishing and gallant triumph, the most enthralling stipstreaming battle, the most breathtaking split second finishes, as well as the most horrific tragedy. 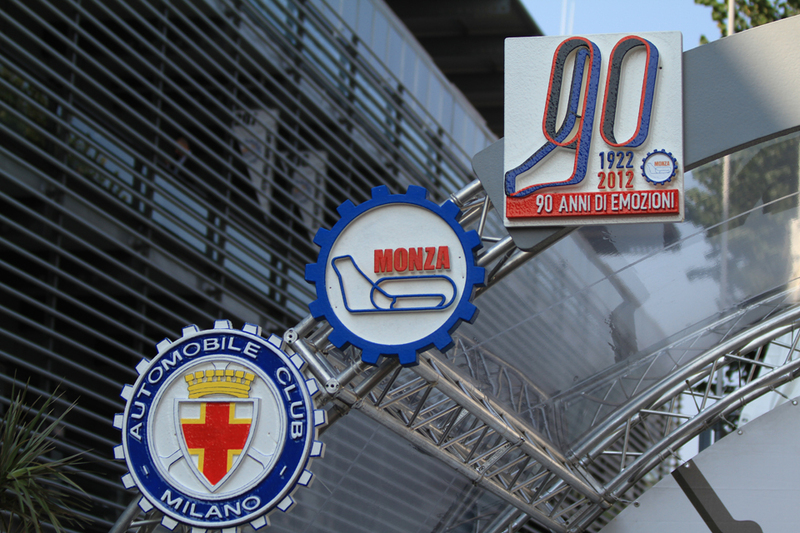 All of the greats have passed through Monza's gates. Many racing drivers have been defined here, many still have perished. The ghosts of the legends of the past who used to race before a rapt public still seem tangible, still seem to stalk the place; the atmosphere of an Italian Grand Prix at Monza always hangs heavy with a discernible sense of trepidation and mythology. It's because as a weighty reminder of how the sport used to be, the fearsome banking still broods over the Monza track, having witnessed much but now is dormant, yellowing, being ever-so slowly overtaken by nature as the metal perimeter guardrail gently rusts. It's because Monza has always been synonymous with speed; even today it boasts the highest average speed of all. 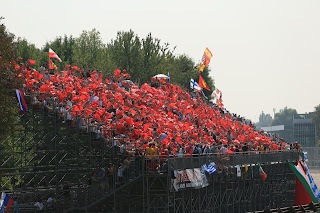 It's because of the sheer passion of the Ferrari-loving tifosi that gather here annually in vast numbers, bedecked in red, waving flags, and providing an atmosphere with an intensity that is never replicated at any other race. The tifosi that follow F1 fervently, read about it, are knowledgeable about it, yet none of it dilutes that they have eyes only for the two red cars... It's because of the deep colours of the Italian late summer sun, and the shadows that stretch across the track from the lush trees of the royal park, which tell you that it can only be Monza. And it's because for as long as F1 exists, indeed for as long as machines of speed race one and other, nothing quite like Monza will ever exist anywhere else. 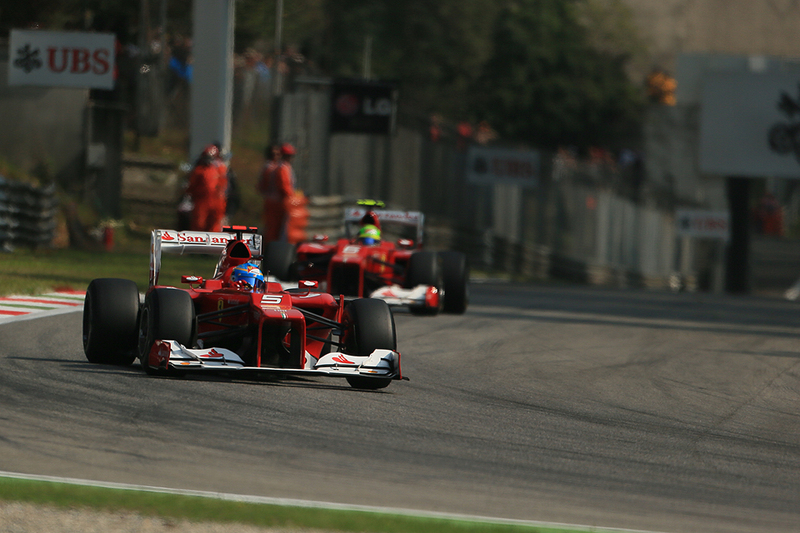 Every time F1 is at Monza, despite everything, it feels like the sport is somewhere well-worn, somewhere it belongs. Even if you've never cared to see a Ferrari prevail in a Grand Prix I suggest with all my being that you visit an Italian Grand Prix at Monza one day before you die. And when you do, I defy you to not be touched by the ambiance of the place. If you do manage that then you have my every sympathy. And as might be befitting of the venue's incomparability, Monza offers the modern F1 car something of a peculiar challenge. Here, at a track dominated by straights, a low downforce configuration featuring conspicuously skinny wings is de rigueur. A gluttonous 83% of the lap is spent at full throttle, and much of the intervening period is chicanes; only the two Lesmos and the Parabolica can be described as turns in the purest sense. These unusual requirements - only Spa's and Montreal's get even close - does have the ability to trip up the odd team, and can give us a competitive order that we likely wouldn't see elsewhere. There was a time when Red Bull could be reasonably counted upon to be a victim in all of this. For one thing, the Renault engine, for all of its virtues (torque, fuel efficiency, compactness) doesn't seem to have the top-end grunt of a Mercedes or Ferrari that comes in handy on Monza's long straights. For another, it seemed that the team was for a long time reluctant, or unable, to produce a chassis spec that allows the car, with all of its astonishing capacity for downforce, to get out of the way of itself on the self same full throttle sections. But as always seems the way with that Milton Keynes lot the team appears to be doing a good job of nipping (relative) weaknesses in the bud. At Montreal and Spa, the two tracks that I mentioned are closest to Monza in requirements, this year Sebastian Vettel won, and pretty comfortably in both cases. And while the Bulls weren't topping the order through the speed traps at Spa they weren't hanging off the back of them as they sometimes do. It seems that as of 2013 Adrian Newey has found a more worthwhile compromise between his usual desire to make his machines stick to the road and to assist them slip through the air when at full steam. And Red Bull has also shown us before, including at Spa last time out, that being quickest onto the straights can mean it doesn't really matter if its cars are ceding speed at the end of them. So, just as usual, Vettel starts this weekend as favourite for the win. One of the many things that never seem to change about Monza is that Ferrari tends to have one of its most competitive weekends of the year here. Despite occasional overexcited claims to the contrary, home advantage does not exist in motor sport the same way it exists in football, say, but apparently Ferrari gives its low downforce spec for the year a bit more attention than most of its rivals do, given the importance politically and otherwise of gaining a strong home result. Indeed, last year only in Monza did Fernando Alonso look a pole contender in dry conditions (though a broken rear anti roll bar put paid to that). The Ferrari looked quick in Spa too, and some reckon that its low downforce skinny front wing disturbs its rear aero less than the usual one does. Whatever is the case, Alonso looks a contender this weekend. And it's all rather critical, as it's not exaggeration to suggest that not gaining ground on Vettel this Sunday will send the Scuderia a long way towards concluding that it'll be better off concentrating on 2014. Lotus may already be at that point, after Kimi Raikkonen's Spa DNF turned his gap to the top of the table from a gap into a chasm. Still, the Lotus did look quick at Spa, only to have it all cloaked by a wet qualifying session which resulted in its cars starting low down, and then in the race Kimi having a brake problem almost from the off. The black cars therefore should be close to the pace at Monza, though Lotus has the same problem as Red Bull does with the Renault engine's lack of power. Last year it approached the problem in a different way to the Bulls, by opting for conspicuously skeletal wings, trimmed for straightline speed. And over a year on from its debut in practice for the 2012 German Grand Prix we still await the team's full confidence in its notorious rear wing 'device'. One is inclined to think that if it doesn't work at Monza then it never will. There also is the curious case of the Mercedes. Merc cars of yesteryear had always gone well (again, a relative term) at the somewhat point and squirt tracks, of which Monza is one. However, most were surprised that the silver cars weren't quite at the cutting edge on pace around the rapid Spa track last time out, which led Lewis Hamilton to opine that the Merc won't be back at the very front until the twistier stuff returns at Singapore. 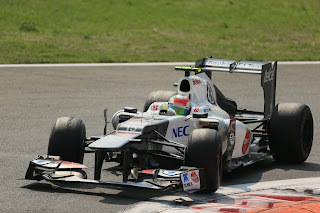 His team though brings a revised low downforce package for Monza so it remains to be seen if that makes a difference. The Mercedes was also impaired by being poor through Eau Rouge last time out, and no such challenge exists at Monza. Another way in which Monza is unusual is that, like last year, it ensures one stop strategies just about all round, with only the very odd or the very contrarian doing different. Whereas at most venues it's a close call between strategies, last year the one-stopper was a full 10 seconds quicker than the two around the Monza track, which makes its selection a no-brainer. This is related to a long pit lane alongside a rapid straight, meaning a lengthy pit stop loss time, as well as just as was the case 12 months ago the Pirelli compound choice is conservative, the medium and hard being those available, which alongside a lack of corners to punish them means tyre life will be longer than usual. 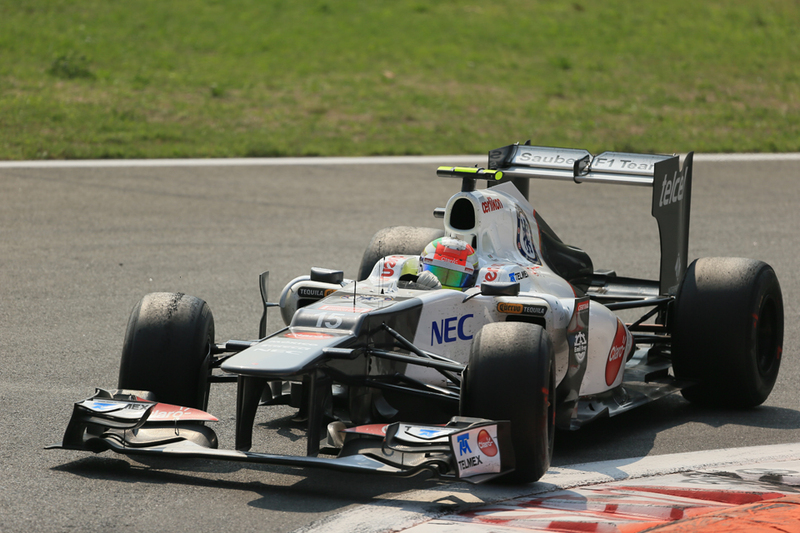 There remains potential at least for a strategy wildcard though, demonstrated last year as Sergio Perez in the Sauber was able to start on the hard tyre, due to qualifying outside the top ten, which helped catapult him up the order at a scarcely credible rate to finish second. This is especially so as getting the one-stopper to work could well necessitate some tyre nursing, as was the case in 2012 with particular wear experienced in the inside shoulder of the front right tyre. This season, despite the persistent rubber-related seethe, hasn't contained the same capacity for such tyre specials though. Least of all from Sauber. Thus there should be plenty to keep us diverted this weekend even over and above Monza's unique and unparalleled charm. Whoever prevails will have a strong claim to being F1's soul man.